Ujjain Yogalife Society (UYLS) is a continuous endeavour to commit self to the universe and feel an unparalleled state of physical, mental and spiritual well being. It brings together some of the most accomplished yoga teachers and yoga enthusiasts. UYLS is a premier institute for teacher training in India offering Registered Yoga Teacher – RYT 200 and RYT 500 courses. Our teacher training programs are accredited with and recognized by Yoga Alliance USA – YA, Council of Yoga Alliance International – CYAI, International Yoga Federation- IYF, and Yoga Alliance International-YAI. 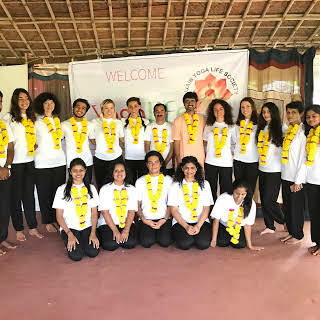 We bring about transformational changes, at mental, emotional and physical levels, in our students with hands on training focused on knowledge of Yoga in-depth, Philosophy of Yoga, body alignment, asanas, pranayamas, meditation and therapeutic healing. This residential course will be conducted by Pundit Radheshyam Mishra (Ph D), an International Yoga Guru and an expert member of Yoga with most of the committees of Government of India.